VINTAGE THRILL POWER FROM THE PAGES OF THE GALAXY’S GREATEST! West Berlin, 1980, and workmen make a grisly discovery in a derelict building - the skeletal remains of Wehrmacht soldier Hans Schmitt clutching his diary. 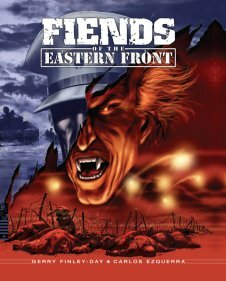 The story he tells in his journal is one of terrible creatures lurking on the Eastern Front during World War Two - of the shadowy Rumanian Captain Constanta and his evil platoon feasting on the living blood of their prey. Can Schmitt warn his comrades before more fall victim to the vampiric hordes? By John Wagner, Alan Grant, Brian Bolland, Steve Dillon, Brett Ewins and many others. IN MEGA-CITY ONE CRIME DOESN'T PAY! 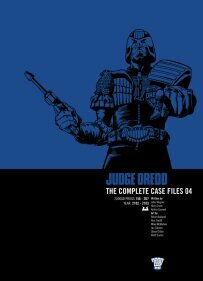 Judge Dredd - the future lawman with the powers of judge, jury and executioner at his disposal - faces some of his most challenging cases yet in this fourth volume of his earliest adventures. From the all-time classic Judge Child saga to the first appearance of legendary perp Chopper in Unamerican Graffiti this collection is heaving with thrills and action-packed entertainment!